Uh, we don't like to brag or anything, but we've pretty much come up with the coolest, most unique, and most terrifying look—but in a fresh and fun way you've never seen at parties, before! Let those vampires keep their pointy teeth and high, stiff-collared capes. Let those clowns keep their deranged facial proportions. Let those witches cast their spells elsewhere. 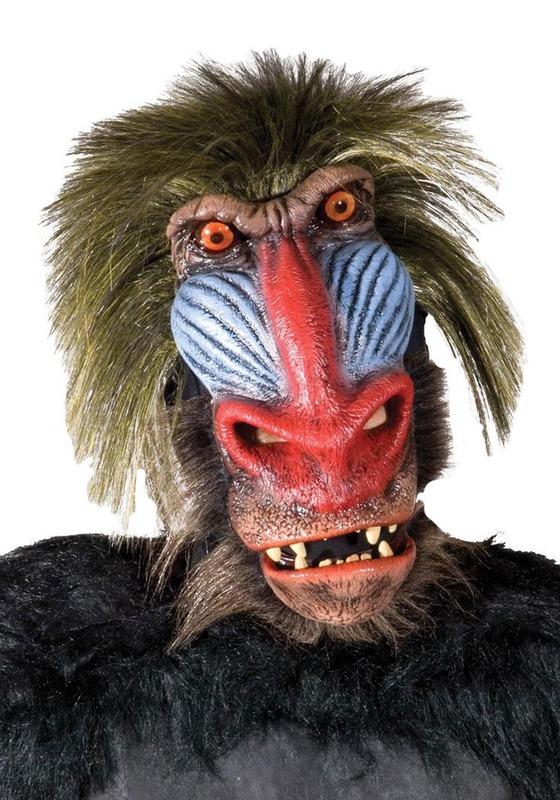 Because this Adult Baboon Mask will have even the scariest creatures running for the hills! And that's before you even let out your well-practiced baboon screech and lock eyes with your prey. Face it, though they may not leap to mind when you think about scary creatures, seeing a 60-pound monkey bearing down on you while baring its teeth may just send you flying into a bathroom to lock the door behind you! And this mask can make that magic happen. It's a latex cover mounted on a knit base, so you can move your mouth (and make all those ferocious, charging monkey sounds). There is faux hair, angry eyes, and a very realistic looking baboon face, making this mask a must-have for a unique Halloween fright fest! Of course, you could always decide to turn this accessory on its head and become the world's most charming, non-threatening baboon, ever. These old world monkeys have been around for centuries, so surely, there must have been a few who leaned a little more cuddly and less scary! Maybe you can join them.